And to renew the holy oath. We are a young people ever ready. From those who are dedicated to Germany. 'And I especially greet the youth who are present. Become men like those you see before you! Fight as they have fought! Be upright and determined, fear no one and do your duty! 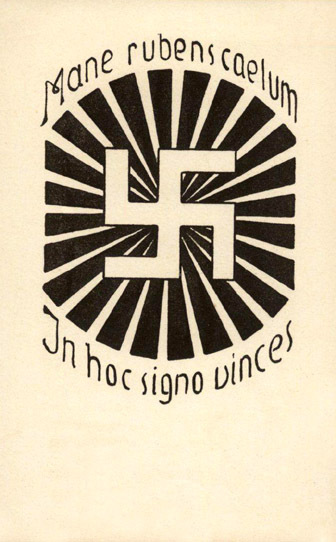 'In hoc signo vinces' = 'In this symbol is our victory' . 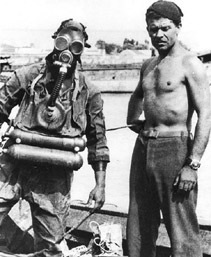 The Decima Flottiglia MAS was a groundbreaking Italian commando frogman unit of the Italian Royal Navy created during the fascist regime. The acronym 'MAS' refers to the light torpedo boats used by the Italian Navy during both of the world wars. The elite Decima MAS fought in the Battle of the Mediterranean and took part in a number of incredibly daring raids on Allied shipping. They were revolutionary, doing things thought impossible and pioneering imaginative tactics. Their operations involved surface speedboats, manned torpedoes, and sabotage of numerous kinds. They sunk almost two dozen Allied ships and even sunk the HMS York (heavy cruiser) and damaged five other warships --the HMS Valiant and HMS Queen Elizabeth, the destroyer HMS Eridge and the destroyer HMS Jervis. 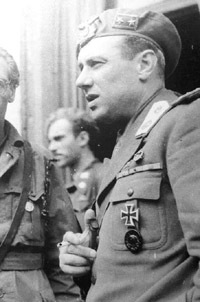 After the cowardly king betrayed Mussolini in 1943 and joined the Allies, many Xª MAS men loyally stayed on the side of Mussolini and their German brothers. 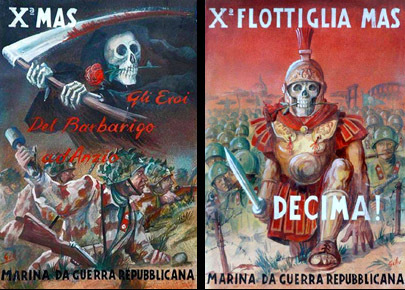 Although they retained the Xª MAS unit title, and although it was originally conceived as a naval unit, the newly revived unit was used primarily as an anti-partisan force. It fast became known as a deadly, elite group of men and women, who were extremely pro-fascist and anti-communist. The partisan terrorists soon learned to fear them. The Xª MAS was a highly decorated unit, these brave men were awarded a total of 29 Golden Medals of Military Valor, 104 Silver Medals of Military Valor and 33 Bronze Medals of Military Valor. The unit itself was also awarded the Golden Medal of Military Valor. By the end of the war, the mighty Xª MAS had over 18,000 members. These men were commanded by the extremely capable and much beloved Junio Valerio Borghese. After 1943 and the setting up of Mussolini's Italian Social Republic he was able to negotiate an agreement with Germany that gave the Xª MAS significant autonomy. 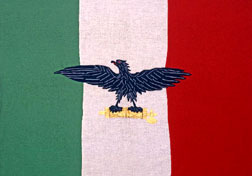 This autonomy allowed the Xª MAS to fight under an Italian flag, under the overall command of the Germans, and not to be employed against other Italians. It lived up to this, gaining the reputation of never having fired one single shot at Italians. 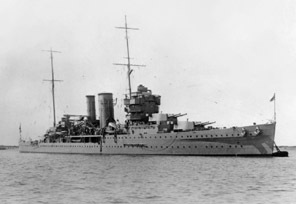 The Xª MAS also earned a superb combat reputation fighting against the Allies. They fought at such famous battles as Anzio and on the Gothic Line. 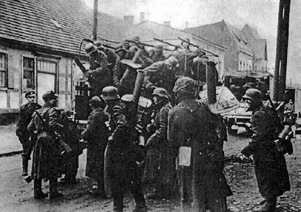 The unit often worked closely with German SS forces. When not ridding the world of the plague of communism, the men of the Xª MAS corps had their own weekly magazine called 'The Horizon' (L'orizzonte). It was extremely political and reflected the stern beliefs of the unit. 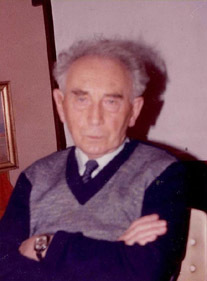 The popular author Giovanni Preziosi wrote numerous articles about the Jewish problem and revealed information about Jewish conspiracies. 'What madness the Allies are committing by aiding Stalin! Europe will be mortally wounded if Germany ever loses. Churchill, Roosevelt, the English and the Americans will one day regret allying themselves with militant communism. Junio Valerio Borghese (June 6, 1906 – August 26, 1974), nicknamed The Black Prince, was an exceptional Italian Navy commander during WWII. After the war he continued to fight for his beliefs and became a fascist politician. In 1970 he was involved in the planning of a fascist coup (known as the 'Golpe Borghese'), which was called off after the plans were leaked to the press. Borghese was forced to flee to Spain, where he spent the final years of his amazing life. Borghese came from a prominent noble family and was first educated in London, England. In 1923 he attended the Royal Italian Navy Academy in Livorno and by 1929 his career had begun. In 1933 he was a submarine commander and took part in the Second Italo-Abyssinian War. He also took part in the Spanish Civil War against communism, where he was in command of the submarine Iride. 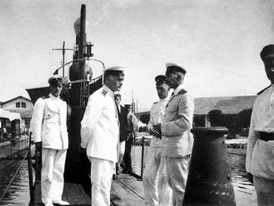 At the beginning of WWII Borghese was given command of the submarine Vettor Pisani, and later, in August 1940, was given command of the submarine Sciré. 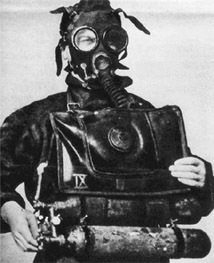 The Sciré was modified to carry the new Italian secret weapon: the human torpedo. 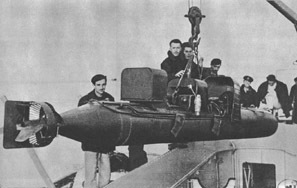 These were small underwater assault vehicles with a crew of two, otherwise known as 'slow speed torpedoes'. While commanding the Sciré Borghese led several raids which would earn the unit its place in history and himself the Golden Medal of Military Valor. One particular mission, on September 20, 1941, resulted in heavy damage to three merchant ships in harbor. On December 18, 1941, Borghese commanded an incredibly daring raid using three human torpedoes launched from the submarine Sciré. They were able to heavily damage two Royal Navy battleships, the HMS Valiant and the HMS Queen Elizabeth, and two other ships in the harbor. In May 1943, Borghese was given command of the 10th Assault Vehicle Flotilla. 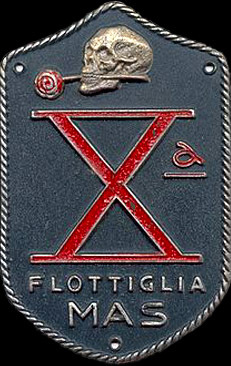 Otherwise known as the Decima Flottiglia MAS, or Xª MAS. The 'Frog Prince', as he became known, due to his commanding frogmen, was born. After traitors in the Italian government signed an armistice with the Allies the Xª MAS was officially disbanded. However, on September 12, 1943, Borghese signed a treaty of alliance with Germany's Kriegsmarine. The Xª MAS was resurrected. A flood of loyal comrades volunteered to serve with Borghese. In April 1945 the British granted permission to the communist monster Marshal Tito of Yugoslavia to occupy northeastern Italy from Venezia to the east. Borghese and the Xª MAS set up a line of defense on the Tagliamento River where they fought the bloodiest battles of WWII. The Xª MAS lost 80% of their men. But they resisted the communist onslaught, against all odds, until the arrival of Allied troops. It was the end for the brave men of the Decima Flottiglia MAS. WWII was soon over. -Sergio Nesi, Italian Supreme Court report in Il processo, in Junio Valerio Borghese. Un principe, un comandante, un italiano. Bologna, Lo Scarabeo, 2004, pp. 555-556. He was released from jail in 1949. Borghese was a beloved figure - a real war hero. He immediately supported fascist causes in Italy. 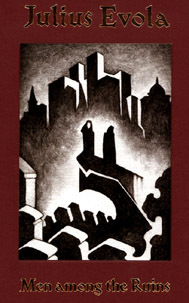 He wrote an introduction to Julius Evola's famous book 'Men Among the Ruins'. In 1954 he wrote a memoir of his incredible life, called 'Sea Devils'. 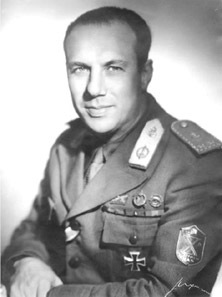 He was involved with the Movimento Sociale Italiano (MSI), a fascist party formed after WWII. However, he found the MSI too soft, so he left them and formed the Fronte Nazionale. In December 1970 he was involved in an aborted coup d'état, after which he was forced to escape across the border to avoid arrest. He would never see his beloved Italy again. The land where he bled and endured such enormous hardships. The land which swallowed thousands of his comrades. Junio Valerio Borghese died under mysterious circumstances in Cadiz, Spain on August 26, 1974 at the age of 68. Although the death certificate says he died of 'acute hemorrhagic pancreatitis', a doctor had just visited him and found him in good shape. He died after a sudden onset of abdominal pain immediately after supper, which some suggest could have been arsenic poisoning. Although Germany and its Axis allies were militarily defeated in WWII, the people's struggle for freedom and resistance against deathly communism continued. For Ante Pavelic, the Axis leader of Croatia during WWII, and his fellow loyal patriots, resistance took various forms, one of which was establishing a post office in exile. 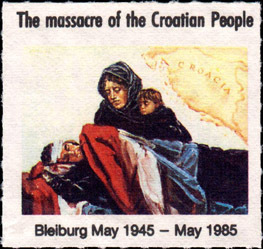 The purpose of which was two-fold: it would help advertise the plight of Croatians, from the genocide which befell them after WWII to the current communist force occupying their country; and it would also raise capital to support resistance organizations within Croatia and abroad. 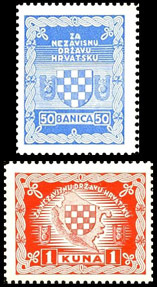 The first Croatian postage stamps issued in exile were done in Bergamo, Italy. 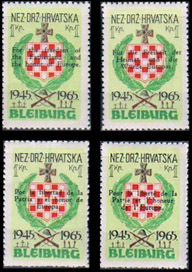 This set was issued by a group calling themselves 'the Croatian Liberation Movement', and consisted of two stamps. These postage stamps were designed by Colonel N. Jesenski and are quite rare today. 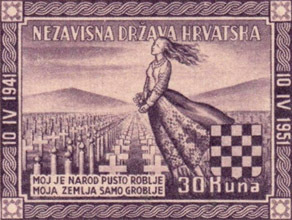 From here on Croatian postage stamps in exile were issued from a variety of Croatian communities spread around the globe - Australia, Uruguay, Spain, England, the Unites States, Argentina and even Syria. 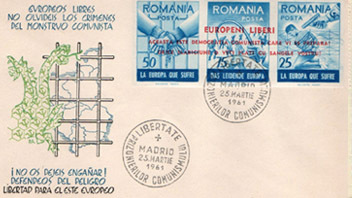 Many of the stamps were issued from Buenos Aires and Damascus where Croatians had government-in-exile offices in the 1950s and 1960s. 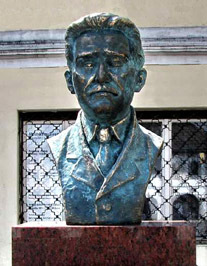 At the center of this movement for Croatian freedom was Ante Pavelic, who was exiled in Argentina. 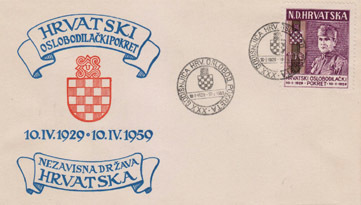 The first postage stamps by the government-in-exile in Buenos Aires were issued in 1951 and commemorated the 10th anniversary of the establishment of the Independent State of Croatia on April 10, 1941. 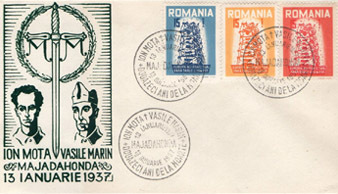 None of these postage stamps were actually postally valid. They were usually placed on an envelope with postage from whatever country they were being mailed from. Nonetheless, they were illegal in Croatia, where even possessing them would land you in prison! 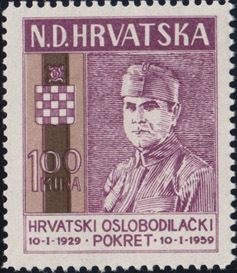 Pavelic led an independence movement which was called the Croatian Liberation Movement (Hrvatski Oslobodilacki Pokret – HOP). 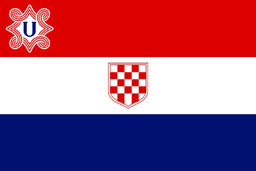 This made him a target to communists and other dark powers, which led to an assassination attempt on his life in el Palomar, Buenos Aires on April 10, 1957 (the 16th anniversary of the establishment of the Independent State of Croatia, this was no doubt chosen symbolically!). He survived this cowardly attempt at murdering him and moved to Madrid, Spain, where the Spanish leader, Franco, gave him refuge. 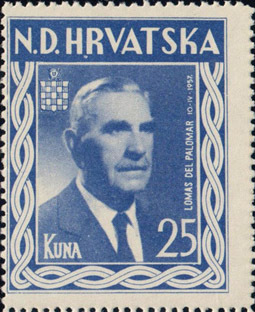 The Croatian post office of the government-in-exile followed him and issued dozens of stamps from Spain, including a special issue with a portrait of Dr. Pavelic on the first anniversary of the 1957 assassination attempt. 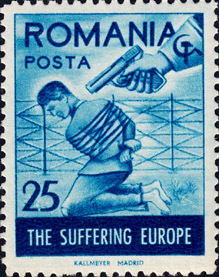 Many of the postage stamps issued by the government-in-exile are quite rare today. Most were issued in quantities of less than 30,000 copies. Some of the rarest provisional stamps were issued in lots of only 1,000 stamps! 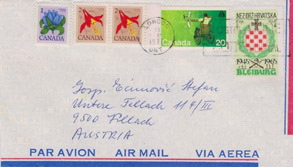 Many issues also were released with a first day cover, which is an envelope bearing the newly issued stamp with a special postmark. These are often much rarer than the stamps. Rarity creates demand in many circumstances, thus greed is born. 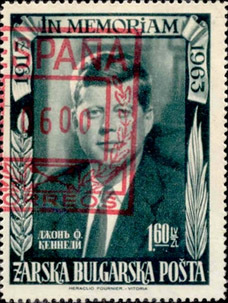 In this case it showed its face in the form of unofficial postage stamps released into the market pretending to be exile issues. 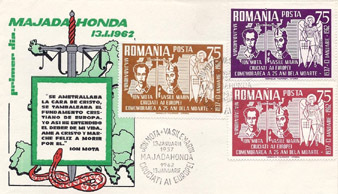 In 1952 several of these sets were printed in London, England. 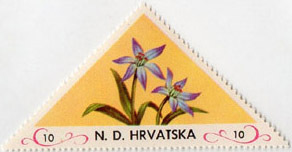 Another set was issued on the 75th anniversary of the Universal Postal Union which bore an identical inscription: N.D. Hrvatska and N.D. Hrvatska Air Mail (triangle flowers and birds). All of these issues flooded the market and it was verified by a spokesman from the Croatian government-in-exile that they did not release them. 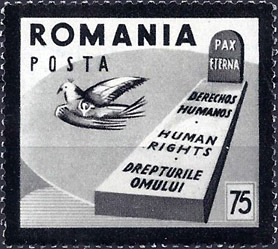 The spirit of Romania refused to accept defeat after WWII. Like Croatia, a government-in-exile was set up abroad. 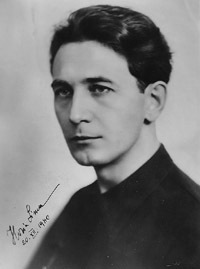 The leader of the Iron Guard, Horia Sima, led this movement for national freedom. Like Ante Pavelic, Horia Sima found protection in Spain under General Franco. 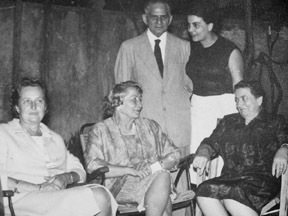 After the war Sima lived in Paris and Italy before finally going into exile in Spain. His enemies wanted him dead and in 1946 sentenced him to death in absentia in Romania. 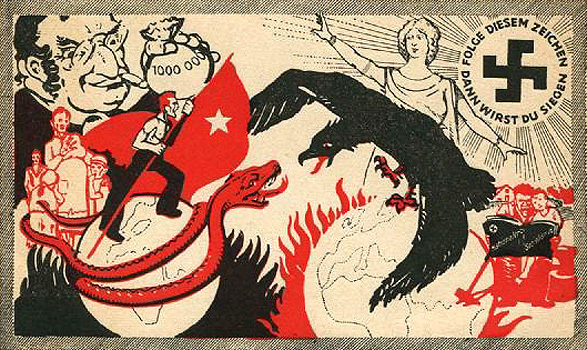 Sima made many alliances and connections with other anti-communist movements during the years to come. 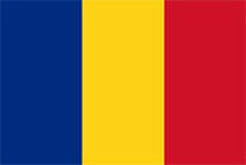 He was a tireless opponent of the evils of communism, and never slackened in his fight for his beloved Romania. On May 25, 1993 he passed the torch of the Iron Guard and died quietly in Madrid. Today he is buried beside his wife Elvira in Torredembarra (near Barcelona). He would never see his dear Romania again. Dr Ferdinand Durcanský (December 18, 1906 – March 15, 1974) was a Slovak patriot and nationalist leader who served under the government of Jozef Tiso (1939-1940). Ferdinand Durcanský was born on December 18, 1906 in Northern Slovakia in a town called Rajec. He was married to Elisabeth Durcanský (born March 23, 1911), and had a son George (born November 7, 1939) and daughter Zuza (born September 3, 1941). According to various CIA documents he was fluent in Slovak, Czech, English, Hungarian, German, Polish, French, Latin, Spanish and Italian! He was educated at the Institute des Hautes Études Internationales in Paris, the University of Bratislava and the Hague Academy of International Law, where he received his law doctorate and worked as a professor of law in Bratislava. Initially the Czech government unfairly made it impossible for him to give lectures at the university, making it impossible for him to be qualified. This no doubt increased his hatred for the Czechoslovakian tyrants. While still a student he took an active role in student affairs. He was the co-founder of the Catholic People's Party and united various groups of young Slovakian students. During this time he also founded an organization and a newspaper both bearing the name 'Nastup' which was of considerable influence on the young students. A November CIA document succinctly states, it was the 'printed expression of their will to fight for an independent Slovakia'. In this venture Ferdinand Durcanský had the aid of his brother, Dr. Jan Durcanský (born February 16, 1902), who was a lawyer and a front-line fighter in the Hlinka Party and Hlinka Movement. Jan Durcanský also worked as a notary in Bratislava. Jan would later belong to the Slovakian Committee of Liberation in Argentina in 1949/50. Ferdinand Durcanský was a fiery advocate of an independent Slovakia. In October 1938, when Jozef Tiso and he visited Adolf Hitler he boldly brought up the issue of independence, proposing that Germany should help Slovakia break away from Czechoslovakia. He also brought his cause before Seyss-Inquart in Vienna and the following day to Hermann Göring in Berlin. The next year, in 1939, he got his way. 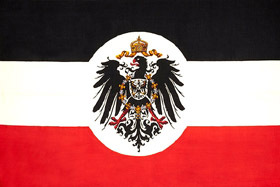 The Germans supported a free and independent Slovakia. For the first time in history the Slovakian people gained independence. After Slovakia finally won its independence, with the help of Germany, Durcanský served as Minister for Home and Foreign Affairs and Minister of Interior (March 14, 1939 - September 1941). However this did not last. According to a CIA document from September 1950 he was falsely charged with 'working both sides of the street'. These accusations were brought about by his enemies and unfortunately he had to be dismissed. Durcanský also served in the patriotic Hlinka Guard and according to a March 1, 1959 CIA report he was also the Slovakian ambassador to the Vatican. This tremendous blow didn't stop him, however, if anything it made him stronger and more determined. He returned to his legal practice and life went on. During the war Durcanský was a ferocious ally of Adolf Hitler and Germany. He fought the good fight until the brutal and bloody end. Even after it was clear that Germany had lost he continued unabated. During the last days when the communists and their terrorist lackeys revolted in Slovakia Durcanský helped to swiftly and violently put down the revolt. After the war the corrupt United Nations War Crimes Commission accepted communist Czechoslovak allegations that he had been complicit in the deaths of Jews. He was condemned to death in absentia. In the final days Durcanský and other patriots decided they would continue the fight abroad and never give in to the communist monster. Durcanský was a member of the underground anti-communist network 'Intermarium' whose headquarters were in Paris. Intermarium was at the forefront of helping innocent National Socialists and fascists escape the vengeful Allies. It was composed of many freedom fighters from countries like Poland, Hungary, Slovenia, Slovakia, etc. According to the New York Times Durcanský made daily radio broadcasts in 1947 to Slovak areas of Czechoslovakia from Southern Austria or Italy. This was supported by a CIA report which spoke of a secret transmitter codenamed 'Barcelona'. Later a second transmitter was put into business. This second station transmitted twice a week, since January 1951 it broadcasted three times weekly. 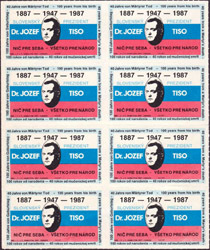 One of such broadcasts was called 'The Voice of the Slovak Republic'. Durcanský also published leaflets and recruits hundreds of freedom fighters in the Slovakian underground. Also of interest was a group of Durcanský's called the White Legion. This was a clandestine organization which operated a small radio statio directed at Slovakia from the American Zone in Austria. According to a March 26, 1952 CIA document the White Legion probably had support from 'certain government agencies and perhaps from the Vatican'. The White Legion also operated in the belly of the beast - in Slovakia itself - where members were eventually arrested and suffered a fate unknown. In August 1947 Czech First Secretary at the Czechoslovak Legation in Rome and a representative of the Ministry of Interior was charged with locating and kidnapping Durcanský! Obviously the failed. The CIA and considered Durcanský a 'very important war criminal' in internal documents. In a January 11, 1946 CIA internal document he was reported having a 'secret conference' in the Vatican with other Slovak patriots in exile. Meanwhile the communist occupied Czechoslovakian government continued to attempt to extradite him. A March 30, 1946 CIA document revealed Durcanský's involvement in a revolutionary plot inside of Slovakia. It was found to have received support from Slovak émigrés in Austria, Germany and Rome. 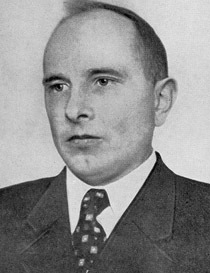 Durcanský was found to be a main instigator. 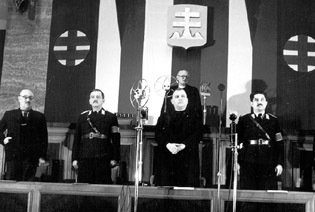 This attempt to free Slovakia led to the arrests of over 100 people who met an uncertain martyr's fate. 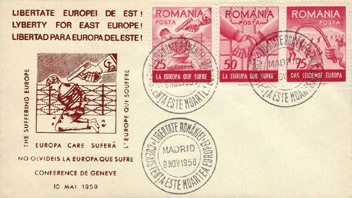 In an article which appeared in the Continental Daily Mail on November 21, 1946, Durcanský was said to be part of 'an international organization extending to every European capital'. 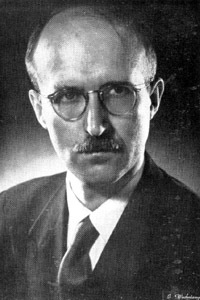 The existence of said group was revealed by Durcanský himself, and the goal of the group was revealed in quote by Durcanský: '[to] see the world finish the war they have only begun, by declaring war immediately on the Soviet Union'. He continued by saying that Stalin was the 'chief war criminal alive today'. The organization's chief leadership, together with Durcanský, is shared by Croatia's Ante Pavelich (who was a close friend of Durcanský) and former Vice-Premier of Yugoslavia Vladimir Natchek. CIA documents also reveal that Durcanský seems to have enjoyed the protection of the Church in the years directly after WWII. In Rome he stayed at a Jesuit monastery and even stayed in Vatican City as a guest in March 1947. 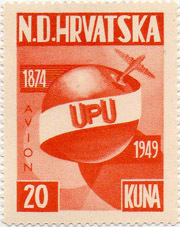 In the November 29, 1946 issue of Prosveta Durcanský again declared his goal was to finish the war against communism and the Soviet Union. It is speculated that Durcanský lived in Germany, the United States and Brazil sometime in 1946/47, but never was seemed to be confirmed. In January of 1948 the CIA documented him visiting Buenos Aires, Argentina. This was an official tour, as he was representing the Slovak Action Committee, with the purpose of 'organizing scattered Slovak groups in preparation for their struggle to liberate Slovakia'. Durcanský relocated to Buenos Aires very soon after this visit. 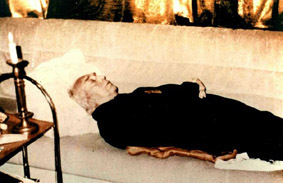 Sometime before his departure to Argentina Durcanský released a manifest geared toward Catholics worldwide. Within its pages he extolled a free Slovakia and defended its Axis president Dr. Josef Tiso. A CIA report of January 26, 1948 reported that 'many Slovaks considered the Slovak Action Committee as their current rightful government. Another CIA report of April 5, 1948 stated that 'Sources close to Durcanský report that he makes no effort to conceal his anti-Semitism'. In April of 1948 the CIA obtained a copy of a publication issued by the Slovak Action committee, released from Bridgeport, Connecticut, USA. The name of the publication unfortunately wasn't mentioned, however, a monthly journal was released in the Slovakian language from Buenos Aires called 'Slovenska Republika'. The group also publishes a monthly paper called Obzor in Austria. Additionally in Munich a pamphlet is published ]called 'Informations Dienst Des Slowakischen Befreingskomittes', which is mainly circulated amongst the Volksdeutsche groups from Slovakia and Hungary. On April 22, 1948 the CIA recorded that the Slovak Catholic Association of Buenos Aires organized several events to commemorate the first anniversary of the death of Dr. Josef Tiso, the first president of the Slovak Republic, who was murdered after a communist kangaroo court sentenced him to death. The main gathering was organized by Durcanský himself. 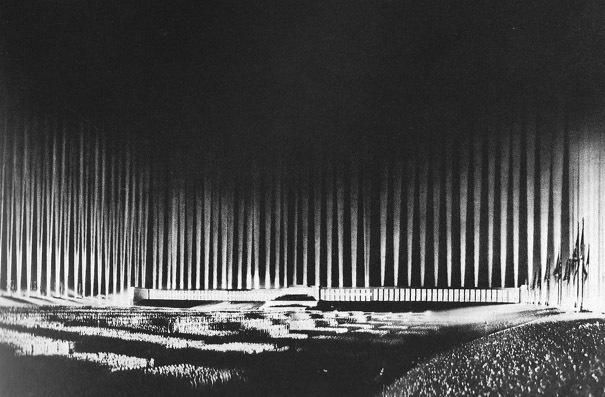 It was held on April 17, 1948 in the Accion Catolica building. Approximately 120 patriots attended the gathering, including 'an ample representation of the local clergy'. At the close of this defiant meeting, telegrams were read aloud which were sent to the Pope, Cardinal Copello, President Peron and the UN president. Durcanský was a man driven by the anguished occupation of his country and he worked tirelessly for its freedom. On June 12, 1948 he attended a meeting of delegates of various refugee groups in Frankfurt. A secret underground emigration route to South America, via Spain and France, was amongst the topics discussed. 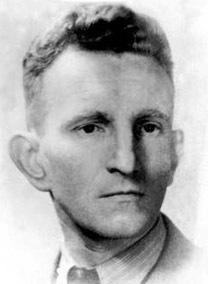 The American Counter Intelligence Corps reported on July 19, 1948 that ex-Slovak HJ leader Stefan Macek was gathering intelligence for Durcanský on the CSR (Czech Socialist Republic). Documents also reveal that Durkansky was successful in infiltrating local Slovak communist organizations. It stated that Durcanský used individuals who pretended to be communists to join these organizations. The information gleaned was then turned over to Argentine police. The report speculates if Durcanský is working with the police and notes that the Argentine government recently refused a request from the Czech government that Durcanský be extradited as a war criminal. 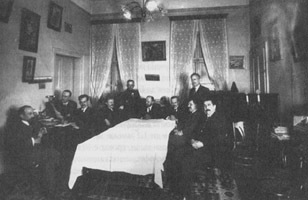 In March 12, 1949 a meeting was held in Buenos Aires attended by representatives of various Slovak political parties in exile. 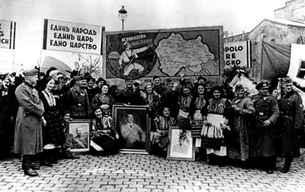 It was decided that the organization Slovak Action Committee would be reorganized and renamed 'Slovak Liberation Committee'. Durcanský was chosen to be President of the Executive Council. This new organization claimed six thousand members in various western countries, two thousand of which in Germany. Sometime during this period the CIA reports that a letter was sent to Major-General Alabanda in Munich which proposed that the Slovak Liberation committee could supply the ABN (Anti-Bolshevist Block of Nations) with two regiments of Slovak soldiers. One regiment could be formed at any time in Europe - while the remainder were spread over the United States, Canada and Argentina. 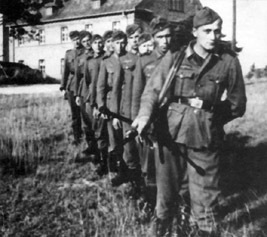 The letter went on to say that these units were ready to fight against the communists for the freedom of Slovakia. In July 1949 Durcanský wished to relocate to the United States, partially because the Argentine government had banned his organization the 'Committee of Central and Eastern Europe'. 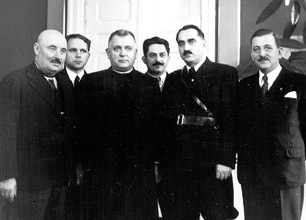 A CIA report dated July 11, 1949 stated that Durcanský, along with Father Virgilio Filippo, an Argentine priest and National Deputy, together with an Ustaše Minister, formed the committee a year previously. This organization had the backing of the Ustaše, Alexander Tsankov's Bulgarian followers, Milan Stojadinovich, Miroslaw Aboinzewski, Leon Degrelle, and various followers of Marshal Pétain and Italian fascist groups. This group was noted to be anti-imperialist, anti-communist and anti-colonial. Durcanský represented the hopes and dreams of many men and women throughout the world. In July 1949 a CIA report stated that 'fascist inmates of the Leopoldov State Prison in Slovakia were pinning their hopes for eventual release on the influence of Durcanský'. How sad that these poor souls dreams were never fulfilled. Slovakia wouldn't receive its independence for another 44 years, on January 1, 1993. A CIA report of November 2, 1950 stated that Durcanský met with Croatian Ustaše leader Ante Pavelic in mid-October 1950 in Bad Gastein, Austria. 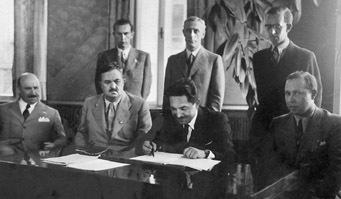 The meeting concerned a proposed alliance between various governments in exile such as with Romanian leader Horia Sima and Bulgarian Ivan Mihailov. On September 14, 1950 Durcanský arrived in the U.K. by air from Zurich, Switzerland. 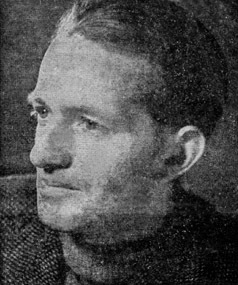 He stayed for two or three weeks with Igor Bazovsky, the vice-president and organizer of the British Branch of the Slovak Liberation Committee. During this time he made contacts with the Scottish League for European Freedom - an organization which focuses on Central European émigré problems. It is led by John F. Stewart from Edinburgh, Scotland. Durcanský also attended conferences sponsored by the Moral Re-armament Group (Dr. Buchman's Oxford Group) in Switzerland, France and Italy. '....By order of the Slovak Liberation Committee I am honored to express through you to the German people our gratitude for the hospitality, help, and understanding which tens of thousands of Slovak refugees and German speaking Slovak citizens, victims of the Czecho-Communist terror, have encountered in Germany. The expulsion of the German citizens with whom we lived for centuries on-terms of mutual respect and friendship, corresponded neither to the desire of the Slovak people, nor was it an action of Slovak politics. It was solely the result of Czech chauvinism, intolerance, and, Czech-Communist brutality, and it exacted countless Slovak victims as well. 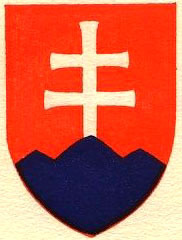 The attitude of the Slovak Liberation Committee (formerly Slovak Action Committee) was from the very first day clear and opposed. We denounced this expulsion and the committed atrocities immediately, upon their perpetration and expressed this attitude in our memoranda to the responsible authorities of the United Nations. We demand legal proceedings against those politicians who are responsible for these atrocities and who fled to the West after February 1948, where they represented themselves as democrats and humanists. For this reason it is obvious for us that at the moment when the forces of barbarous communism and its satellites have been driven back, all those citizens who fled or were expelled should return to the Slovak Republic as citizens with full rights. They will be treated with full equality regardless of their mother language. Since Czechoslovakia was created after the first World War without consideration of the desire, and even contrary to the desire of a great part of' the annexed population. Since the Czechs who formed an actual minority in Czechoslovakia acted throughout her existence contrary to the obligations accepted by them upon foundation of their state, employing immoral and undemocratic methods in order to maintain their predominance over the majority of the population. Since Czechoslovakia after World War I could be revived only with the help of the Red Army and by employing inhuman methods and committing crimes against the majority of the population who opposed the creation of Czechoslovakia. Since the Czechs voluntarily subjected themselves to the Soviet rule in order to secure their predominance over countries inhabited by other nations with the help of Moscow. Since the Czechs can uphold their state only by systematic and gross violations of the democratic principles and laws of humanity and liberty, in consequence of which Czechoslovakia cannot fulfill her mission as a constitutional state, and since the Czechs abandoned their state without the least resistance twice within 30 years (which proves the Czechoslovakia's artificial structure has no natural basis to fulfill the function of a state in international terms). Since the existence of Czechoslovakia hinders consolidation and is inconsistent with the realization of the principles of democracy and liberty in Central Europe. (1) We protest against the fact that people who sold the interest of the Christian civilization and Europe to the Soviets, who helped Moscow to subject Central Europe and the anti-communist resistance by committing crimes against humanity and the principles of liberty, want to decide the fate of our home country in the name of our nation. (2) We demand the realization of the principles of liberty, democracy, and morality when establishing new political conditions in Central Europe in order to establish a political stability which would make Central Europe the basis for European prosperity and a mainstay of world peace. 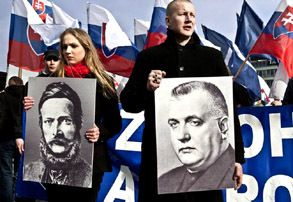 (3) Our people have the same right to live a free life and govern their fate as do the Czechs. We therefore reject all attempts of the Czechs to re-establish Czechoslovakia in any way and brand such attempts as immoral. (4) We protest that certain political components and international institutions support the efforts for an erection of Czechoslovakia while pleading democratic principles. We will do everything in our power to fight such efforts and the methods applied and to unmask attempts at oppressing our nations. (5) The Slovaks, as any other nation, have the right to live in their own state, the Slovakian Republic, and the Sudeten-Germans to determine their own fate. Only thus will it be possible to arrive at conditions which guarantee the cooperation and welfare of all nations of Central Europe and international peace. After living in Argentina for a few years Durcanský moved to Canada in December 1950. He made Canada his home for several years and visited it regularly on speaking tours into the 1970s after he moved to Europe. Why wasn't he extradited during his years of world travel and speaking tours? The truth is that Britain and the United States watched him very closely, as you can see from the CIA files above. They kept him around as an 'enemy of their enemies' in case they needed him in the future against the communists. They even sometimes secretly helped him without his knowledge. All of this was rather common after WWII. A CIA document dated March 2, 1951 actually weighs the pros and cons of allying with 'Nazi' groups such as Durcanský's organization. Many 'Nazis', not only scientists, were employed by their former enemies. Many Gestapo, for example, were employed in their old positions. Yes, its true. They even helped shape the CIA. You already know about how the German scientists were used to form the leading space agencies of the world. Werner von Braun, an actual card carrying member of the NSDAP, was made head of NASA for god sakes. As is said: 'There is no such thing is an American space agency, it was a German space agency in America'. Look up Operation Paperclip. But back to our man Durcanský. His boundless energy found him the President of both the Slovak Committee for Action Abroad and the Anti-Bolshevik Bloc of Nations. Within this time he wrote many articles and pieces for Nation Europa, Zeitschrift für Geopolitik and Politische Studien, among others. 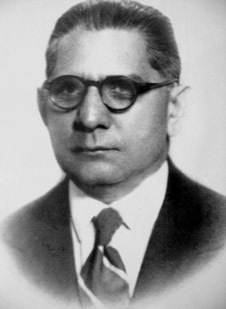 Aleksander Tsolov Tsankov (June 29, 1879 – July 27, 1959) was a Bulgarian politician during the 1920s and 1930s. His life would take him to the heights of power, to the truth of National Socialism, to the war ravaged streets of the Reich, where he commanded a group of his countrymen in the Waffen-SS and ultimately to his exile in Argentina. But first, his beginnings. He was a professor of political economy at the Sofia University beginning in 1910 and for a few years to follow. In 1923 he helped lead the overthrow of the corrupt government of Aleksandar Stamboliyski. 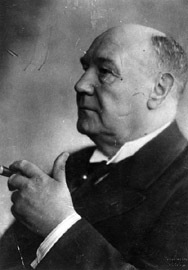 Afterward he was chosen to head the new coalition government and later became the Prime Minister on June 9th of the same year, continuing until January 4, 1926. 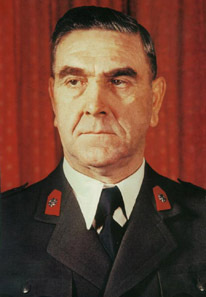 During his role of leadership Tsankov was embroiled in a fiery battle with the communists. The Bulgarian Communist Party, which was eventually outlawed as martial law was declared in 1925, made an attempt on Tsar Boris's life and bombed the St. Nedelya Cathedral. During this time of great unrest Greek troops invaded Bulgaria, but did not remain long, after being condemned by the League of Nations. Bulgaria was left with crippling national debt and was refused a loan for the country. No coincidence, this forced Tsankov to step down. Tsankov had faced the dark powers of this world - the destroyers of nations. He learned a powerful lesson, and soon became an adamant supporter of Adolf Hitler and National Socialism. In 1932 he formed his own party called National Social Movement. Information is very difficult to find regarding what happened in the years that follow. It wasn't until the war-torn year of 1944, after the monarchist government of Bulgaria was overthrown by a communist coup d'état on September 9, 1944, and replaced by the communist Fatherland Front, that Tsankov was appointed as the Prime Minister of Bulgaria in exile. The communists were now in control of the country and declared war on their former ally, Germany. Many Bulgarians refused this treacherous action to turn on their comrades. The Germans and Bulgarians used loudspeakers and dropped leaflets on the confused Bulgarians now being forced to fight them on the Front. It reportedly had good results. Ultimately, since the new government was in exile in Vienna, Austria, it found little support amongst Bulgarians, who hardly knew it even existed. 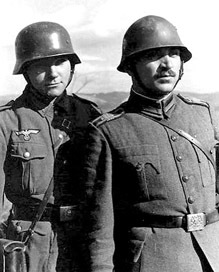 On the fateful day of November 13, 1944 Tsankov and the Bulgarian government-in-exile worked with the Waffen-SS to create a Bulgarian volunteer unit. This new group was officially known as the Bulgarian Grenadier Regiment and there were lofty plans of expanding it to a division. It was formed of students, workers and soldiers that were in the Reich at the time of the communist takeover in Bulgaria. Around mid-November the unit reached strength of approximately 600 soldiers, 56 non-commissioned officers and 25 officers. 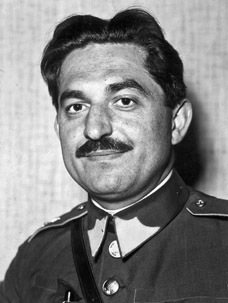 The commander of the Waffen-SS Bulgarian Grenadier Regiment was Ivan Rogozarov, a minister in the government-in-exile. In the terrible days of April 1945, when men's mettle was tested to the extreme, many lost their courage and dishonored themselves and their people. There was such a dishonorable group amongst the young Bulgarian Waffen-SS. It was led by a Major by the name of Karanechev Costa, who led a group of about twenty soldiers in an attempt to desert their countrymen. Their cowardly act didn't last long. They were hunted down by the brave men they deserted and a firefight took place. Three deserters were killed and the rest arrested. In April 1945 the unit was re-equipped with anti-tank weaponry and renamed the SS Panzer Zerstörer Regiment (SS Tank Destroyer Regiment). In February 1945 the Bulgarian government-in-exile was forced to move from Vienna to Altaussee, soon after dissolving in May. That same month Tsankov fled to Argentina and died in Belgrano, Buenos Aires in 1959. Today nationalism is rising all over Europe, as people watch their cultures destroyed, their values mocked, their religions subverted and their race replaced. 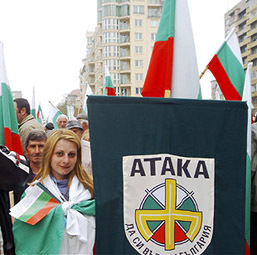 There are a handful of political parties in Bulgaria today resisting this darkness, such as the leading party 'Ataka' (Attack), the 'Bulgarian National Alliance' (BNS) and the 'Bulgarian National Union'. Many of you readers by now have heard of Chandra Bose and his Azad Hind. But you probably haven't heard that he actually had a Muslim counterpart. 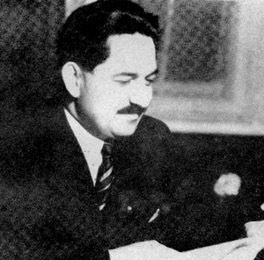 Enter Dr. Mohammad Iqbal Shedai (1888 - January 13, 1974). Dr. Shedai was a fiery revolutionary who fought the British occupation of his homeland of India for many years in exile. As early as 1915 he was noticed by the British imperialists in India for his politics. The same year he was blacklisted and his movement restricted. After applying for admission to a law college he was denied because of his anti-British stance. This only fueled his fires and strengthened his fight for truth and freedom. Be careful, ye tyrants, when you take away the last of a man's dreams, his livelihood. You create an enemy that will plot you downfall in the empty, dark night and in the meaningless day. 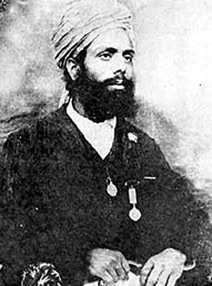 1918 Dr. Shedai joined the Hindustan Ghadr Party, an organization which sought Indian independence. His passion would soon earn him a top leadership position within the party. At the start of 1920 Dr. Shedai was influenced by what was called the Hijrat Movement, which was a call for Indian Muslims to migrate and exile themselves to Afghanistan. Shedai was given an introductory letter from a respected patriot and was helped cross into Afghanistan and into Kabul. Thousands of his Muslim countrymen were already refugees there. King Amanullah of Afganistan appointed Shedai as the Minister for Indian refugees. Tragedy filled his eyes and pain his heart as he beheld the misery of the Indian refugees before him. 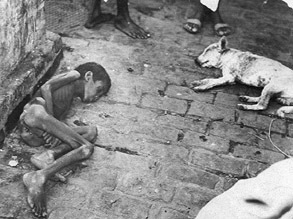 They lived destitute, without work or food, kept alive only by their hopes of freedom. Shedai must have felt powerless in Kabul, because after a short time, in 1921, he decided to journey to Moscow, where he sought to make contacts. However Indian communists opposed him and he left two years later in 1923 to Italy. 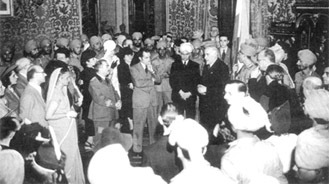 In Rome he met with fellow Indian nationalist Maulavi Barakatullah and Carlo Arturo Enderle. He also met with a wealthy industrialist named Lanfranconi, who was interested in economic expansion into India. Italy had been a supporter of Indian independence movements since the 1920s and into the 1930s. Little did Shedai know at the time, but this support was about to blossom into a full declaration of war against his enemies. Also during this time he attained an interview with Mustafa Kemal Atatürk, the first President of the Turkish Republic and Ismet Inönü, the first Prime Minister. But they were still bitter from past wars and held low opinions of Indian Muslims because of defeats suffered at the hands of Arabs and Muslim Indians under British conscription. He would not find the help he so desperately sought here. The land of Jeanne d'Arc awaited him next and in 1926 he moved to Marseilles. He then lived in Paris, France for over a decade until March of 1938 when he was expelled from the country and banned! 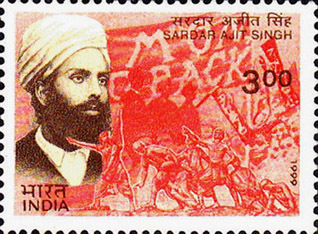 His fight for Indian independence and anti-British colonialism marked him as a dangerous man. It had been a decade of active, never ending fight for him. From there he moved to Luson, Switzerland. 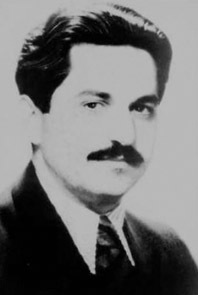 In Switzerland Dr. Shedai was the representative of both the Ghadar party and the Mujahidin Party of Waziristan. He was also in close contact with other Indian nationalists who he worked with. In the fateful year of 1941 he moved back to Italy and was permitted by Benito Mussolini to continue his fight for Indian independence. 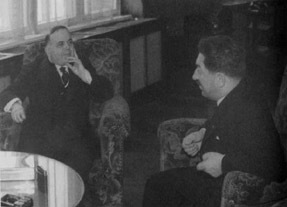 Mussolini was impressed with Dr. Shedai and appointed him as Minister of Foreign Affairs for Arab and Islamic issues. Shedai's efforts in Italy were three pronged: he helped organize an Azad Hind (Free India - not to be confused with Chandra Bose's Azad Hind) government, he recruited Indian prisoners-of-war for the Italian Azad Hindustan Battalion, and perhaps most importantly he established Radio Himalaya in Rome. He canvassed Italian POW camps which swelled with Indian soldiers who had been conscripted to fight against the Axis for Britain. In Italy and Libya he relayed to his countrymen of the golden chance they had with the Axis to finally free India. 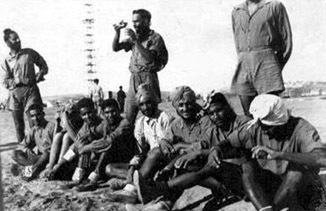 Sometime in March 1942 approximately 15 Indian volunteers were moved to Villa Marina (near Rome), and thus became the nucleus of 'Centro I' ('I' for 'Indians'). Three months later on July 15, 1942, they grew to 44 volunteers. Italian officers were utilized as their instructors and NCOs, and like the German Azad Hind of Bose, they spoke English, since English was the only language that all of them shared an understanding of. 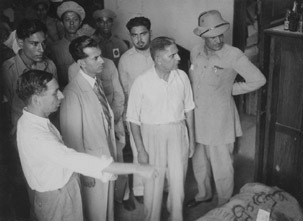 To help ease the cultural divide, some of the Italian officers chosen had previously lived in India. This new group consisted entirely of Muslims, including a relative of the Grand Mufti of Jerusalem and a former Foreign Minister of Afghanistan, who was close to ex-King Amanullah. On August 3, 1942 the volunteers had grown and now formed a command squad and various infantry groups and a paratrooper platoon (Tarquinia detachment). It was slowly coming into its own. They wore standard Italian military uniforms with a turban of the color of the Italian Sahariana tunic. They wore on their tunics collar patches with three vertical stripes in saffron, white and green (the colors of the Indian National Congress). 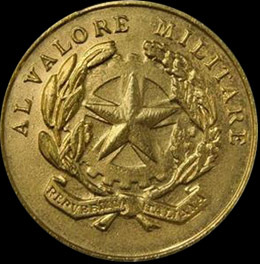 Italians serving in the Battaglione Azad Hindoustan were distinguished by stars on the collar patches that were not worn by the Indian troops. The Tarquinia paratroop detachment wore their own collar patches as well as a badge depicting an open yellow parachute embroidered in rayon thread on the left upper arm. 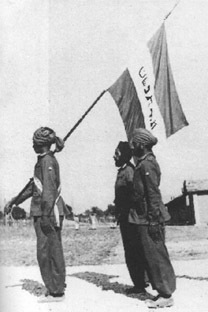 This Indian unit was raised alongside other units Centro T (Italians from Tunisia plus Arab and Sudanese prisoners-of-war) and Centro A (Italians and Arabs from Egypt, Palestine, Syria and Arabia). Its task was to be intelligence gathering and sabotage operations behind enemy lines. On October 22 of that year the Centro I, minus the paratroopers, were moved to Tivoli for intensive training. The next day they were renamed the 'Battaglione Hazad Hindostan', or the Azad Hindustan Battalion. 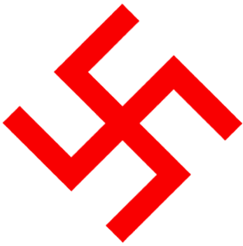 This name change was done when the Raggruppamento Centri Militari (Central Military Group) itself was re-designated as Raggruppamento Frecce Rosse ('Red Arrows Group'). This name was chosen by the commanding officer in memory of his service with the Italian Divisione Frecce Nere ('Black Arrows Division') of the Italian Corpo Truppe Volontarie ('Corps of Volunteer Troops') in the Spanish Civil War. So, in plain words, the Red Arrows Group was formed by Centro T, Centro A and Centro A. Combined it numbered approximately 1,200 Italians, 400 Indians and 200 Arabs. The units of the Red Arrows Group were trained to infiltrate behind enemy lines, from submarines and by parachute. They received very specialized training and were trained for a variety of tasks. By the time of its disbandment in November 1942, the Centro I, or the Azad Hindustan Battalion, numbered three hundred and fifty to four hundred strong. Yet, sadly, it was all for naught. After the Axis defeat at the Battle of El Alamein in November 1942 a mutiny stirred within the Battaglione Azad Hindoustan. Despite Dr. Shedai's best efforts, his countrymen which he had recruited from POW camps had neither the spirit nor the courage to fight for their country's freedom. That when their moment arrived they chose to safely wait out the war in prisoner-of-war camps rather than to fight for the freedom of their people. Such is humanity, time and time again. In India, Italy, Africa, Germany, Russia or America, cowardice knows no locale. Nonetheless, the Italians and Shedai moved on. Dr. Shedai not only helped the Italians recruit his countrymen, but also gave invaluable advice to them. And although the group of Indian volunteers never made its appearance on a battlefield, its propaganda value was no doubt great. Indians, free Indians, were raising arms against the 'invincible British'. It sent a message to all Indians. A message spread loudly and daily by Radio Himalaya (Radio of the Free Indian movement) in Rome. Shedai worked closely with another Indian patriot named Sardar Ajit Singh (1881 – August 15, 1947). Singh was a Sikh and would eventually become the Minister of Information and Broadcasting. -Sardar Ajit Singh, his last words, on the day India achieved its independence. Does justice ever come sweeter than this? Here is a man whose fate was truly to help free India, and once this was achieved his mission was finally done. Shedai and Singh had very different political, spiritual and ideological beliefs, but were able to overcome them, and instead concentrate on their greatest love: India. Any country would be enormously blessed to have such patriotic sons. Singh had been deported by the British occupiers of India in 1908 and had never stopped fighting from his exile. He also worked with other members of India's Ghadr Party. From his exile in Brazil he moved to Naples initially for a teaching job. Later he worked on propaganda with the Italians directed toward Indian soldiers of the British army in North Africa. 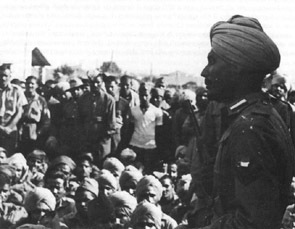 They attempted to direct the Indian soldiers to desert and instead fight for a free India. Together, Shedai and Singh worked on Radio Himalaya, a radio program broadcast everyday from its secret location in Rome to Afghanistan and India, from 1941 onward. This far reaching radio broadcast called on Indians to rebel against foreign occupation. 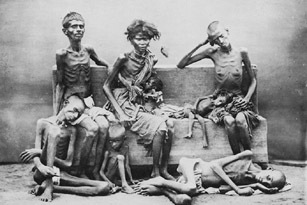 This angered the British greatly because it was listened to by many Indians. They even attempted to ban the station, but it was useless. Since radios were rare in India, except among the wealthy, large groups of people gathered every evening to tune in to the programs of Radio Himalaya. The radio program was a propaganda victory for the Axis and a thorn in the side of the British. A number of Indians even believed that the station was broadcasting out of India! Its message of rebellion caused many problems for the Allies and had repercussions on the Durand Line (a region separating Pakistan and India, with many differing tribes). There were sometimes deep rivalries between Shedai and Chandra Bose. While the two had the same goal, they had different ways and ideas of achieving it. The two met several times, such as at meeting in Italy in May-June of 1941. 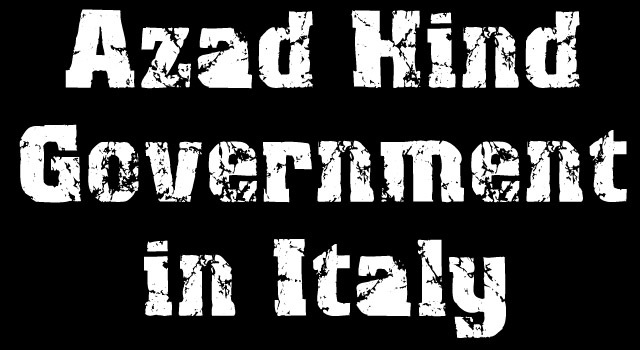 Dr. Mohammad Iqbal Shedai established the Azad Hind government-in-exile in Italy in the fateful year of 1941 in Rome. With Shedai as its president, it had the full approval of Benito Mussolini until 1944 when the Allies captured Sicily and Rome. 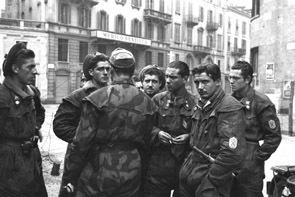 After Mussolini was betrayed Shedai fled Rome and took refuge in Milan with Italian comrades. After the war the British raced to capture Shedai with all their fury. He was a man who had dared speak against them. Yet he eluded them and their prize was never caught. Shedai went unto hiding after the war but in the early 1950s he surfaced again in Italy. He became a professor of Urdu at Turin University where he taught the Urdu language for a decade. During this time the Indian government Education Minister, Mawlana Azad, came to Rome and met Shedai offering him a lucrative post in Delhi to work for the government of India. Shedai declined. In 1964, he moved to the Pakistani province of Lahore where he lived out the last ten years of his life. On Sunday, January 13, 1974 in the early morning hours, Shedai passed into Allah's hands. He was buried in Miani Sahib Lahore. 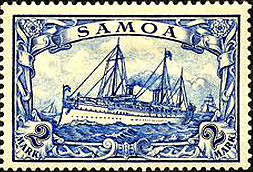 German Samoa became a German protectorate from 1900 to 1914. Germany, the United States and the United Kingdom all had interests in the islands and eventually civil war and clashes occurred between the three. 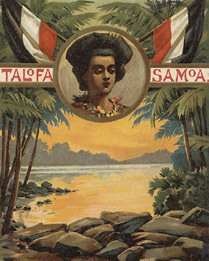 In 1899 The Samoa Tripartite Convention was signed ending the conflicts and giving control of the islands west of 171 degrees west longitude to Germany, control of the eastern islands was given to the United States (present-day American Samoa) and the United Kingdom was granted other territories in the Pacific and West Africa. Solf went far out of his way to ensure the Samoan people were happy with him. He studied and learned the culture, customs and rituals of the Samoan people. He brought peace to a land which had been disrupted by civil wars and conflicts for many, many years. His administration established the first public school system, also the first hospital was built and Samoan women were trained as nurses. The roads in German Samoa were the best of all the colonial possessions of the European powers in the Pacific. But it was not to last. 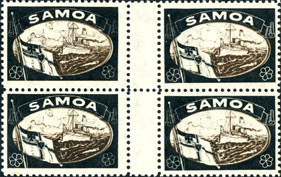 The miserable Allies waited for a chance to steal German Samoa away, and they got it on August 29, 1914. 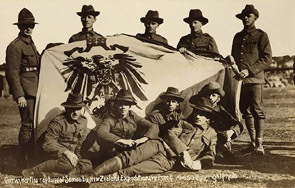 Since there were no soldiers in German Samoa, when Great Britain ordered the troops of the New Zealand Expeditionary Force (1,473 soldiers) to invade, they did so unopposed. New Zealand would occupy the German Islands until 1920, and 'govern' them until their independence in 1962. The New Zealand occupation is especially brutal, violent and evil. They undertook violent actions against Chinese laborers, Germans and natives alike. Petty acts of cruelty are committed, like on November 6, 1914 when Lieutenant Colonel Logan orders a complete halt to the postal service between Samoa and Germany. 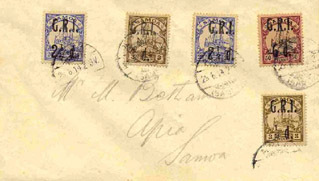 The final consignment of mail that reaches Samoa is burnt in front of the German residents! Alcohol is banned and causes riots and the destruction of shops and businesses. On February 5th Lieutenant Colonel Logan declares that anyone caught in the vicinity of the internment camp in Sogi, Apia (where many Mau people are imprisoned) would be guilty of a 'war crime'! They shipped away the German citizens like cattle to an island in the Hauraki Gulf. The New Zealand occupation was a catastrophe and the people of Samoa would rue the day Germany lost control of the colony. There were murderous incidents like the careless introduction of Spanish influenza which killed 7,542 Samoans and the shooting murders of pro-independence Mau chiefs on the streets of the capital city of Apia. 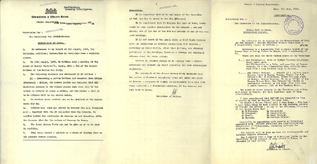 On June 28, 1919 the bestial Treaty of Versailles terminated German rights in Samoa granted under the Convention of 1899. Unrest rules the years to come. Unlike the Germans, who treated the people fairly and with kindness and respect, the new tyrants treat the people with contempt and racism. They complain about how child-like the people are and how prone to rumors and political intrigues they are. The rulers must have forgotten: they weren't invited!!! 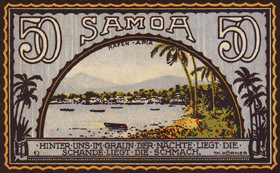 After WWI some Germans with native families were eventually allowed to return to Samoa. 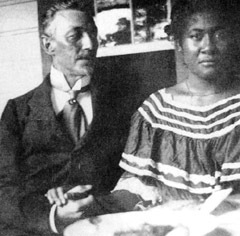 One such German, Alfred Matthes, a German planter with a Tongan wife, lived in Western Samoa. Matthes, like most Germans living abroad, loved Adolf Hitler and followed the happenings in Germany as closely as he could. They all longed for the return of German Samoa. Julius Waldemar 'Alfred' Matthes (1874 - July 7, 1940) was born in Freienwalde, Brandenburg, Germany around 1874. After the death of his parents, Julius and Bertha Matthes, in Germany, Alfred set sail for the South Pacific in 1906. In 1908/1909 Alfred left his home in Samoa and travelled to Africa to transport cocoa and coffee plants in order to farm and distribute them in the South Pacific and Asia. Back in Samoa Alfred took up farming cocoa and coffee, also working at the Pineapple factory at Tuvao, supervising and inspecting products for quality. Alfred's first wife was named Lagi Tuaiva from Salelolonga, Savaii, whom bore him two sons. After a long stay in Germany the two separated and Alfred remarried a half-German woman named Anna Pump, whom bore him three more sons. 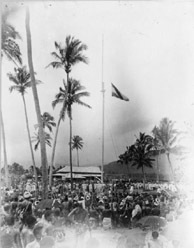 On January 1, 1934 Alfred Matthes was authorized to establish a branch of the National Socialist German Workers' Party in Samoa by NSDAP District Leader E.W. Bohle. In December 1934 Matthes began a circular, the 'Samoan Nazi'. 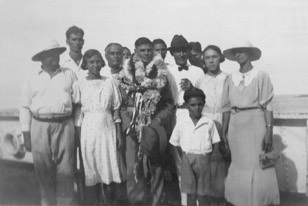 The Samoan NSDAP was certainly an interesting branch of the party, being as several of their members were married to Samoan or other native women, including Matthes himself. 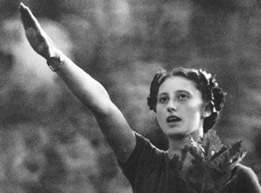 '...a woman's branch of the German Nazi is being formed in Samoa, with a membership of 32. THIRTY NATIVE SAMOAN 'NAZIS'? Very interesting indeed. The Samoan NSDAP presented their evidence to Berlin but there is unfortunately no record of a reply. On May 20, 1936	Alfred Matthes and fellow NSDAP member Gerhard Stoeicht left Apia for Germany as Samoa's representatives to the National Socialist Party's World Congress in Hamburg, Germany and returned on January 20, 1937. In the spring of 1937 the German consul in Wellington visited the Concordia Gruppe in Apia. He is greeted by a large group of Germans and half German/Samoan people. He later reported to the Ministry of Foreign Affairs in Berlin on May 30, 1937 that the club on Beach Road 'now bears a definitely National-Socialist imprint. There are pictures of our Führer in every room and in front of the ministry flies our national flag'. What happened next is unclear. There was talk that Matthes planned to seize some key government institutions in 1938. For one reason or another this never happened. But apparently the local Samoan NSDAP chapter went broke in April 1939 and Matthes sought to return to Germany. Just like in previous years, in 1939, when war came to Europe, the New Zealand authorities rounded up the German population and imprisoned them on Somes Island in Wellington Harbor. Alfred would never leave captivity alive. Like millions of other Germans murdered in concentration camps during WWII, he officially died of 'natural causes'. 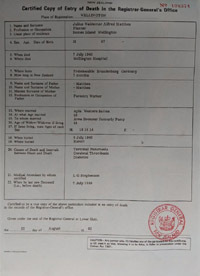 His death certificate, issued in New Zealand, claims he died of terminal pneumonia, cerebral thrombosis, and diabetes on July 7, 1940. He was buried in Karori, Wellington. A document found in Germany after the war proved that twelve Western Samoans had an official NSDAP membership card. Ten of them emigrated to New Zealand after WWII. What a strange chapter in the history of the NSDAP. One that they definitely would never teach in their universities of brainwashing. It shatters their false narrative. It shows them in the true light. They were the monsters. They were the racists. They were the tyrants and warmongers. Again, the good guys lost World War Two. But the truth cannot be buried forever. Truth rises from what they thought to be a grave, but was really a bunker. Next time, sooner than any of us can imagine, no force on this bloodied earth will stop the forces of good. 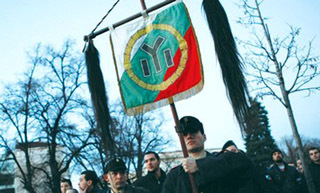 The Russian Youth National Organization (NORM) was founded in Germany in the pivotal year of 1939. As a Russian youth organization it fashioned itself after the Hitler Youth. 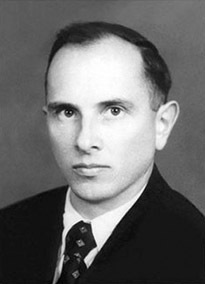 The formal leader of NORM was Sergei Taboritsky, while the management was done by the head of the Berlin Brigade 'Standards' Ivan Little (later succeeded by Yuri Lukin). Also associated with NORM was Deputy General Biskupská of the Bureau for Russian refugees in Germany (Vertrauensstelle für russische Flüchtlinge in Deutschland). The standard uniform of NORM was an un-tucked black blouse with a patch and blue epaulettes and black pants. 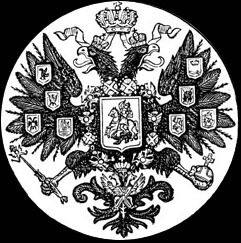 The emblem of the militia organization was a white cross with a gold border and a double-headed eagle in the middle. 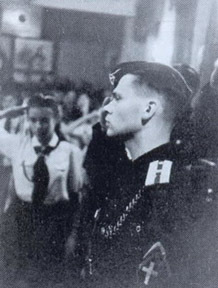 The boys and girls of NORM were joined by representatives of Russian youth organizations from the countries liberated by the German army, such as the 'Prague Knights' from the Czech Republic, NORR from France, NORS-R from Yugoslavia, and several others. 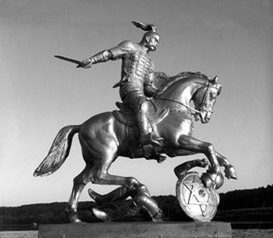 *ushkuynikov were a type of early heroic warrior. 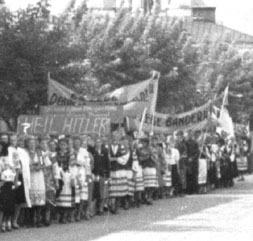 In July 1943 members of NORM met for a camp/rally which was organized by a camp near the village of Peltskul under Stralsund, which brought together 85 people from all over Germany. Shortly after the end of the rally members gathered in the NORM headquarters house on Elskholts Strasse in Berlin, when Soviet incendiary bombs fell. The headquarters burst into flames but NORM members risked their lives in the burning house to save the banner of the Berlin Brigade. These brave souls were awarded the St. George lanyard for the regimental banner. 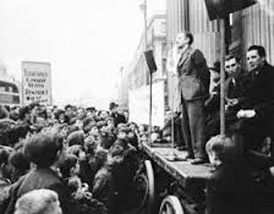 On November 5, 1944 NORM participated in the Congress of Russian Youth, which took place in Troppau. It marked its formal inclusion into the Union of Youth of the Peoples of Russia. After the war numerous members of the NORM and the Standards Brigade continued the fight in exile, while unlucky others rotted away in Soviet concentration camps or mass graves. Ivan Little, the old original leader of the Berlin Brigade was imprisoned in a concentration camp. Alongside the Hungarian Baron Szalay he created an underground organization called 'Order of the Cross and the White Lilies' which was uncovered by security officers in 1951. Ivan Little was sentenced to death, but the sentence was apparently never carried out and was changed. He passed away in Vladimir Central in 1953. *Very little information is available regarding The Russian Youth National Organization (NORM). Literally only one picture of a NORM member in uniform is available. If and when more information becomes available it will be added here. Additionally, some of the information presented here is sketchy and incomplete. A Russian commander of a Walloon division of the German Waffen-SS?! Could this be true. Yes! 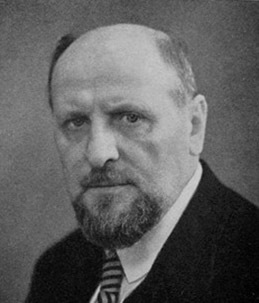 George Tchekhoff (December 14, 1892 - November 26, 1961 - his name sometimes 'George Czechs' or 'Georgy Chekhov') was born in the city of Sukhumi (a city on the Black Sea coast). In 1914 he honorably left the St. Petersburg Sea Cadet Corps, where he reached the rank of warrant officer in the Baltic Fleet. For his participation in WWI he was awarded the Order of St. Anne and St. Stanislaus. After the communist coup and resulting genocide Tchekhoff moved to the south of Russia, near the military port of Novorossiysk. In January 1919 he was enlisted with the Chief Naval Heavy Artillery. In June 1919, he was promoted to lieutenant. Together with the remnants of the Black Sea Fleet, he was eventually evacuated to Bizerte (Tunisia and the northernmost city in Africa). After relocating to Germany, Tchekhoff became an active member of the Berlin Union of Russian Naval Service Men. In the middle 1930s he moved to Liege, Belgium where he would eventually receive citizenship in the days precluding WWII. When Germany invaded the Soviet Union and the Walloon Legion was formed in Belgium Tchekhoff volunteered. On August 8, 1941 he was appointed to the rank of captain and later became commander of the 3rd company. This company was unofficially referred to as the 'Russian' company because of the several dozen Russian volunteers. On top of this, the medical service was staffed by Russian volunteers and headed by the Russian Lieutenant Peter Yachmin. 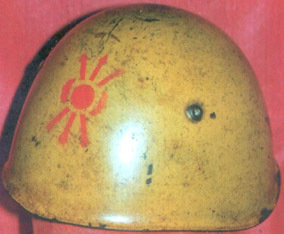 The Walloon Legion arrived on the Eastern Front in November 1941 and immediately made a name for itself. The men of the Legion showed their iron courage in the face of death on numerous occasions. Even when greatly outnumbered, they persevered. At the end of February 1942 500 Walloon and Russian volunteers clashed against two whole Soviet regiments. The communist force numbered approximately 4,000 men! The brave Walloon Legion lost a third of its soldiers, including 22 officers and 20 wounded. Sadly Russian Colonel Smolensk was among the dead. After the battle Captain George Tchekhoff and 30 other brave soldiers of the Walloon Legion were awarded the Iron Cross. 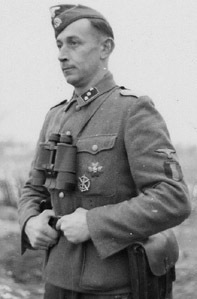 Tchekhoff was appointed captain of the legion in March 1942. After several months in this position and earning the rank of Major, Tchekhoff resigned and was appointed commander of the reserve battalion. During the years of struggle George Tchekhoff became close friends with the Walloon hero Léon Degrelle, becoming one of his closest aides. On the glorious day of April 20, 1944, he was promoted to the rank of Sturmbannführer in the Waffen-SS. In March 1945 he was given command of the Second Battalion of the 69th Regiment of Volunteer Grenadier Division of the SS 'Wallonia'. Several days later he was appointed commander of the 70th Regiment. During the terrible days of the spring of 1945, while fighting in the Pomerania region, Tchekhoff was seriously wounded. The war was over for him. The rivers of blood dried, and the screams remained only in the heads of those who had endured them. Dark times grew darker. The Allies had vengeance and evil on their minds. As a citizen of Belgium George Tchekhoff was sentenced to a long prison term for 'treason'. However, in 1948 he was pardoned, along with other veterans of the Waffen-SS division 'Wallonia' by the Belgian Prince Regent Charles. 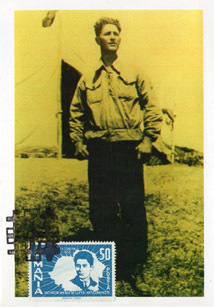 Tchekhoff moved to Argentina along with many other proud veterans who couldn't stomach the occupation of their homelands. Like so many other patriots of Europe, he would never see his beloved lands again. He passed into history on November 26, 1961. Russians served in various other European units as well -- here are a few more examples. The tale of the French Waffen-SS volunteers during WWII is one of the most selfless, brave and heroic histories of the war. These valiant men fought for years on the Eastern Front, performing admirably, and in the final days of WWII they were released from their oaths of service. By then their heroic French blood had been nearly bled out fighting the communist monster. The number of French volunteers was massive, so much so that the Germans had to put a limit on them. But by 1944 some estimates say there were around 11,000 volunteers. Then came the night that would cement France into the hall of Europe's greatest and bravest heroes: April 23/24, 1945. The French Waffen-SS 'Charlemagne' Division had been reduced to only 1,100 men, losing around 90% of its men! On this historic night they received a telegram from the Reich Chancellery in Berlin with orders to report immediately to help protect the capital of the Reich. The Brigadeführer Gustav Krukenberg knew what all of the Frenchmen knew: it was a last stand battle. The Soviets had almost surrounded Berlin. Krukenberg told his men that he would only accept volunteers to go with him and that any man who wished could be honorably discharged and be able to return to their families and loved ones in France. Nearly ALL OF THEM volunteered to go to Berlin! Krukenberg couldn't take them all, so he only took those he could transport, around 300. Most of the others he released to serve in a construction battalion. 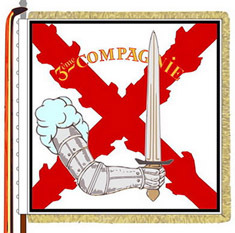 The knights of the Charlemagne Division were able to break through the Soviet blockade. They fought through the burning streets, strewn with corpses, fire and almost certain death. In the first days they lost nearly half of their numbers, but had helped destroy fourteen Soviet tanks and sent many communists to their graves. One machine gun position by the Halensee bridge held down Soviet forces for 48 hours! Eventually they found themselves in the city center of Berlin. They made their last command post in an underground metro station, in a shattered railway car, illuminated by candles. They were on Leipziger Strasse, around the Ministry of Aviation and Potsdamer Platz. The fighting was some of the heaviest and most violent of the war. By April 28th 108 Soviet tanks had been destroyed in southeast Berlin. The French volunteers accounted for around half of the tanks destroyed. For their astounding actions their leader was awarded the Knight's Cross of the Iron Cross April 29, 1945. A full scale assault was now underway by the Soviets. 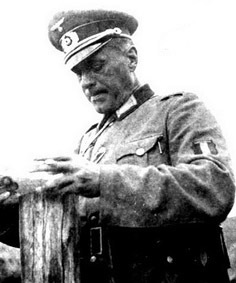 One Frenchman, Unterscharführer Eugene Vaulot, singlehandedly destroyed six Russian tanks outside of the 'Führer Bunker'. He was also awarded the Knight's Cross of the Iron Cross on April 29. Three days later he was killed by a Red Army sniper on May 1. They had fought with a fervor unseen in modern times, eventually becoming the very last defenders of the Chancellery bunker. Adolf Hitler's last defenders -- Frenchmen! On the dark morning of May 2, it was over. Germany, the little that was left of it, surrendered. Of the gallant 300 Frenchmen, 30 remained. THIRTY. Those that managed to survive were thrown into Allied concentration camps and dungeons for many years. A dozen of them, who had survived years on the Eastern Front and lived through the hell of the Battle of Berlin, were murdered by cowardly French authorities on the road home on May 8, 1945. At least two Russians were known to have been with the French in the assault battalion who immortalized themselves in the Battle of Berlin. Sergey Protopopov, the grandson of the last Minister of Internal Affairs of the Russian Empire, who was martyred on the fateful day of April 29, defending the Reich Chancellery. He was honored and posthumously awarded the Iron Cross for his bravery that night, in what would be the final ceremony. Next is the Russian lieutenant Sergey Krotov, the son of the former Russian consul in Madagascar. Krotov was injured during the final battle and was put in a Bavarian hospital, where he was captured by American soldiers, who turned him over to the French. He was among the murdered 12 French martyrs. 'Your duty to Ireland does not end with the casting of your vote. Encourage others to speak the language. 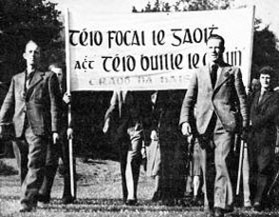 Ailtirí na hAiséirghe (which means 'Architects of the Resurrection' in Gaelic) was a nationalist and fascist political party founded by Gearóid Ó Cuinneagáin in Ireland in 1942. The Party was influenced by and aligned with National Socialist Germany and the Axis powers. They sought to create their own military and gain true sovereignty of Ireland. Included in this aim was the conquest of Northern Ireland and the end of the use of the English language, instead returning to their native Gaelic language. The Ailtirí na hAiséirghe also wanted to end the incredible Jewish power and influence over Irish politics, life and culture. 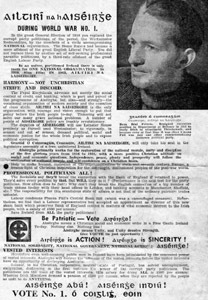 Maintaining a Christian culture throughout Ireland was an important goal to the party. In the 1945 local government elections party members won a hefty 9 out of 31 contested seats. The founder, Gearóid Ó Cuinneagáin, (January 2, 1910 - 1991) was born into a middle class Catholic family in Belfast, Ireland. He excelled in school and in 1927 even took third place nationwide in the Irish civil service examinations. He went on to college after gaining acceptance to Queen's University in Belfast. A teacher from his youth had inspired him to learn the Gaelic language and he took night courses in order to do so. He found the language quite natural and even changed his name from the Anglicized 'Gerald Cunningham' back to the Gaelic 'Gearóid Ó Cuinneagáin'. He began working as a tax consultant before his interest in politics forced him to change his path. His proficiency in Gaelic earned him a position as an editorial writer for the Republican weekly 'An tÉireannach' in 1933. As his interest in politics continued to grow he went on to found the Ailtirí na hAiséirghe in 1942. The party carried on even after WW2, in 1958 it still had formal meetings and up until the early 1970s the party's newspaper still released publications. 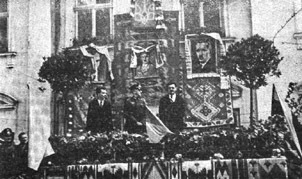 Some notable politicians that supported the Ailtirí na hAiséirghe were Ernest Blythe, Oliver J. Flanagan, James Joseph Walsh and Ceann Comhairle. Famous authors including Brian Cleeve, Breandán Ó hEithir (also a broadcaster), philosopher Terence Gray and hero of the IRA, Seán South, of which a song was written, all either supported or were members of the party. 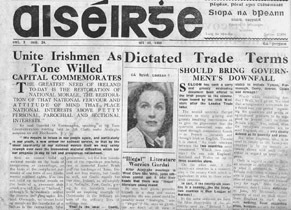 According to historian Ray Douglas, Irish society was more receptive to fascism than is admitted today. Douglas also declared that there was widespread anti-democratic, anti-Semitic and pro-fascist sentiment. 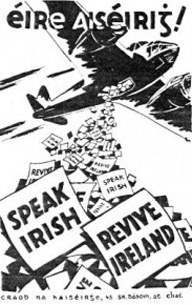 Throughout Ireland there was anti-communist feelings and widespread support for Franco, Mussolini, Salazar, and Hitler. There was a deep anti-Jewish feeling both amongst the people and the leadership of Ireland at the time. During World War 2, many Irish people cheered the Germans on, and after the war reports of the 'Nazi' death camps were mostly ignored or dismissed as lies and Allied propaganda. Other Irish nationalist groups of the time included... Aontas Gaedheal, the People's National Party, the Irish Unity Association, an Córas Gaedhealach, St Patrick's Anti-Communist League, the Irish Social Credit Party, and the Irish Christian Front. --Motto Ó Cuinneagáin is said to have died with these words on his lips. Indeed it is, our Irish comrade. 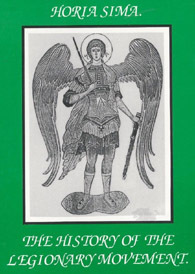 The Nightingale Battalion (Nachtigall Battalion), also known under the names 'Ukrainian Nightingale Battalion Group' (Bataillon Ukrainische Gruppe Nachtigall), and 'Special Group Nightingale', was a unit under the command of the German Abwehr special operations unit Lehrregiment 'Brandenburg'. This special anti-communist group, along with its countrymen in the Roland Battalion, were both formed on February 25, 1941. 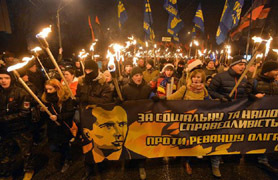 These armed groups were composed of 800 volunteer nationalists under the order of patriot Stepan Bandera. 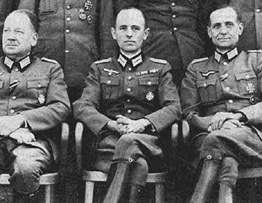 Prior to these formations and Operation Barbarossa, Bandera had trained in Germany and met with German intelligence who helped him form the two battalions. 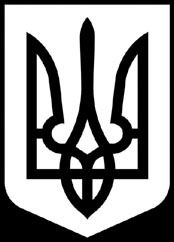 In the spring of 1941 the OUN (Organization of Ukrainian Nationalists) was given 2.5 million marks for anti-Soviet actions. Training for the Nightingale Battalion took place in Neuhammer near Schleswig. It was commanded by both a Ukrainian and a German - the Ukrainian side was Roman Shukhevych and the German Theodor Oberländer. 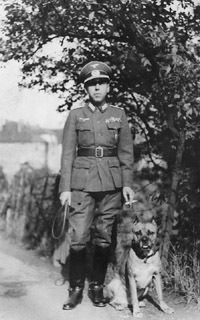 Oberleutnant Dr. Hans-Albrecht Herzner was placed in overall military command of the Battalion. The Battalion was equipped with standard Wehrmacht uniforms which they later placed blue and yellow ribbons representing the Ukrainian flag on their shoulders. Their baptism by fire awaited them against the communist occupier of their homeland. Four days before Operation Barbarossa the Nightingale Battalion traveled to the border. On the night of June 23–24, 1941, one day after the invasion to free Russia, the Battalion crossed the border near Przemysl while traveling in the direction of Lviv (the largest city in Western Ukraine). 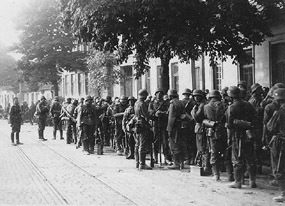 On June 29th, as part of the 1st Brandenburg Battalion, the soldiers of the Nightingale Battalion entered Lviv. Their first duties were to protect strategic locations, such as a radio station, where later, on June 30th, the proclamation of the Act of Ukrainian Independence was made by Yaroslav Stetsko. The next month, on July 7, the first company of the Nightingale Battalion left Lviv with the Brandenburg Battalion in the direction of Zolochiv. They left behind a smaller force which joined them later during their eastward march towards strategic locations in the Ukraine, like Zolochiv, Ternopil and Vinnytsia. 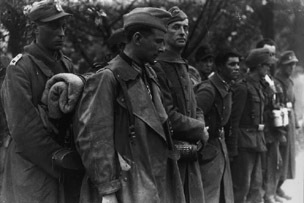 The Nightingale Battalion was involved in fighting against the so-called Stalin Line, where some of its soldiers were even awarded by the Germans for their acts of valor. The communist army was fleeing everywhere ahead of the seemingly unstoppable Axis advance. But like the communist monsters that they were, the Soviet secret police - NKVD – began quickly murdering the inmates of Ukrainian prisons, many of which were nationalists, imprisoned for thought crimes or patriotism. What the Germans and their Ukrainian comrades found were scenes from hell. Thousands and thousands of corpses of murdered men, women and children. Prison basements stuffed with rotting bodies. Scenes from the devil's nightmares. These inhuman crimes were well-documented. Ukrainian militias and emergency police units, later organized into the Ukrainische Hilfspolizei, were formed. These groups desperately tried to save the lives of their countrymen and establish order. 'We treat the coming German army as the army of allies. We try before their coming to put life in order, on our own as it should be. 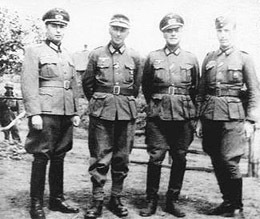 Stepan Bandera was in charge of forming 'Mobile Groups' of small (5-15 members) groups of OUN-B members who traveled to Western Ukraine after the German advance to Eastern Ukraine to gain support for the OUN-B and establish order. Approximately 7,000 people participated in these mobile groups. The Germans wanted to ease the Ukraine into its independence, since there was still so much chaos and turmoil in the country and the region. This didn't sit well with some nationalists who wanted immediate independence. But the Germans weren't just going to give up their hard fought territory without first ensuring it was secure. Therefore the German government did not accept the proclamation of the Act of Ukrainian Independence made by Yaroslav Stetsko. 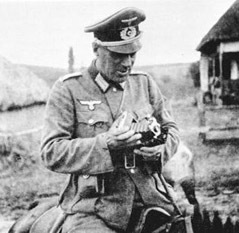 Despite this the Ukrainian people benefited greatly from the German training and direction given to the Nightingale Battalion. As Russian historian V. Chuyev states that the Organization of Ukrainian Nationalists (OUN) achieved its ultimate goals. 600 fellow nationalists had received military training with battlefield experience. 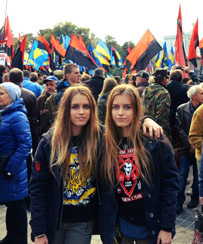 These hardened men would later assume the roles of instructors and commanders in the future Ukrainian Insurgent Army. 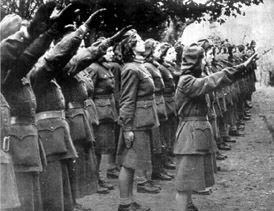 In October 1942, the UON-B leadership formed the militant Ukrainian Insurgent Army (UPA). 'The end of OUN was such: the revolutionary columns were commanded by Roman Shukhevych with a small party of officers who had not only undergone military training, but had come to a clear understanding of military tactics. Most importantly, they brought with them - an understanding of organization, strategies and tactics of partisan fighting, and the German method of dealing with partisan groups. This knowledge was very useful in the formation and activities of the UIA and in its future conflicts. In November 1941 the men of the Nightingale Battalion were reorganized into the 201st Schutzmannschaft Battalion. This new group numbered 650 persons which served for one year in Belarus before disbanding. 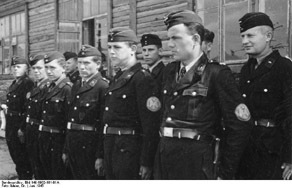 Many of these men then joined the anti-communist Ukrainian Insurgent Army and others joined SS-Freiwilligen-Schützen-Division 'Galizien' in the spring of 1943. 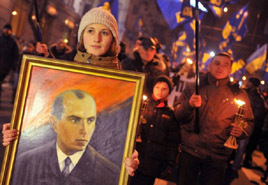 Stepan Andriyovych Bandera (January 1, 1909 – October 15, 1959) was a Ukrainian political activist and a leader of the Ukrainian nationalist and independence movement. 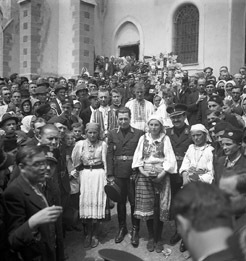 In 1934, during the communist occupation of most of eastern Europe, Bandera was arrested in Lviv by Polish (Soviet) authorities and was tried twice in court. 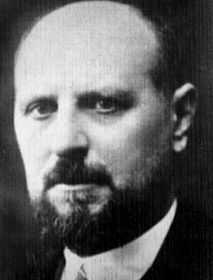 First for involvement in the assassination of the Polish minister of internal affairs, Bronislaw Pieracki, and again at a general trial of the 'Organization of Ukrainian Nationalists executives'. Predictably, he was convicted of 'terrorism' and sentenced to death, however for whatever reason the sentence was commuted to life imprisonment. Bandera defiantly gave the stiff arm salute to the court and cried out 'Slava Ukraïni!' (Glory to Ukraine!). Five years later everything changed. The German armies were liberating town after town, city after city, country after country. They freed many thousands of nationalists that were imprisoned for false charges all around Europe. 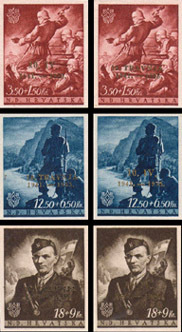 In September 1939, during the war between Poland and Germany, Bandera was freed. Working closely with his German allies, he urged his countrymen to rise up against the communists. On July 5, 1941 Bandera was arrested by the German authorities and transferred to Berlin. The Germans had a great deal of respect for him, but didn't see eye-to-eye on Ukrainian Independence. 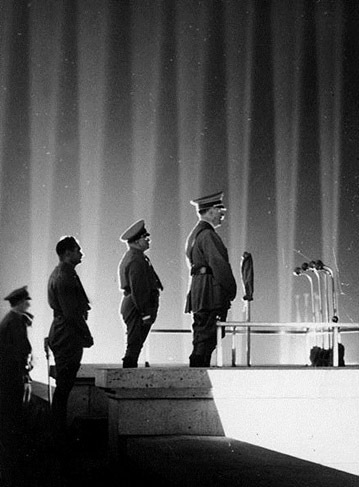 Bandera didn't want to wait and the Germans understandably were leery of handing over power just yet. On July 14 he was released from custody but was required to stay in Berlin. 'German and Ukrainian interests in Eastern Europe are identical. For both sides, it is a vital necessity to normalize Ukraine in the best and fastest way and to include it in the European spiritual, economic, and political system...' [he concluded that Ukrainian nationalism was of] 'a spirit similar to the National Socialist ideas' [and that they would have to] 'spiritually cure the Ukrainian youth' [who had been corrupted and poisoned by communist propaganda and rule]. 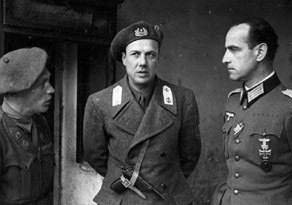 In September 1944 he set up his headquarters in Berlin, where he received German financial, material, and personnel support for his Ukrainian Insurgent Army. Together with the Germans he helped supply the OUN-B and UIA by air with arms and equipment. German personnel were dropped behind Soviet lines where they coordinated with OUN-B leaders to conduct intelligence and partisan activities. These joint works were conducted until early 1945. On October 15, 1959 Bandera was assassinated by the KGB in Munich, Germany. He collapsed outside of Kreittmayrstrasse 7 in Munich and died soon after. An autopsy established that the cause of his death was poison by cyanide gas. On January 22, 2010, the President of Ukraine Viktor Yushchenko awarded Bandera the posthumous title of 'Hero of Ukraine'. 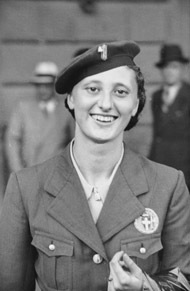 Trebisonda 'Ondina' Valla, (May 20, 1916 – October 16, 2006) was an Italian female athlete who was the first woman of her country to win an Olympic gold medal. She won it in the 80m Hurdles event at the 1936 Summer Olympics in Berlin, after winning a new world record during the semi-final. Ondina, which means 'little wave' in Italian, was born in Bologna, but her name was taken from a city on the Black Sea coast of northeastern Turkey named Trabzon (Trebisonda in Italian). Her father thought this city to be the most beautiful in the entire world, as he no doubt also thought his daughter to be the most beautiful little girl. One that would grow up to make history. As a young girl Ondina showed an early talent for sports, setting her first Italian record in the 80m Hurdles and in the High Jump. During these school days she met her lifelong rival, another Olympian named Claudia Testoni. The two first battled at their school championships in their hometown and would remain opponents for the rest of their careers. Remarkably, at age 13 Ondina was already considered one of Italy's top athletes. 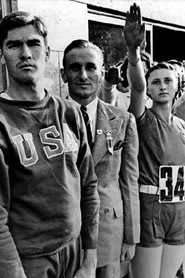 At 14 she became national champion and was chosen for the 1930 national team. It wouldn't be long before she became a favorite of sports fans. Ondina's natural abilities soared in such events as sprinting, hurdles, jumps, pentathlon and in the relays. The fascist government saw in Ondina a shining icon of a healthy, intelligent and strong national youth. The Italian media called her 'the sun in a smile'. 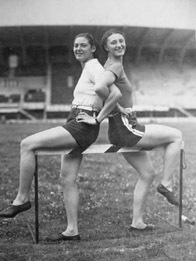 In the historic 1936 Berlin Summer Olympics Ondina won the gold medal at the 80m Hurdles race. It would take 44 years before another Italian female athlete would win an Olympic title. Although Ondina was the first place winner, she and three other athletes were so close at the finish line that a photo finish picture was required to find the winners. 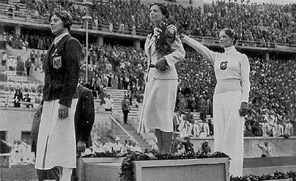 Ondina's old rival, Claudia Testoni, finished fourth, earning no medal. It must have been a sweet victory. But Ondina and Claudia got to participate together on the Italian 4 × 100 m relay team, which finished fourth. But the two lifelong rivals hadn't seen the last of each other. They met a total of 98 times during their careers! Ondina ultimately prevailed over Claudia, however, by 60-33 in direct clashes (they tied five times). After the Olympic Games, Ondina was forced to limit her competitions because of back problems. Nonetheless, she pushed herself and continued to compete until retiring in 1944. All-in-all she won 15 Italian titles (five in the High Jump, six in the 80m Hurdles, two in the 100m, one in the Pentathlon and one in the 4x100 relay) and set an amazing 23 national records. She died at the age of 90 in L'Aquila, Italy. 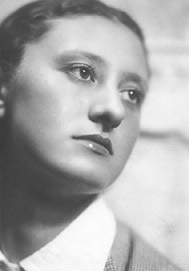 Claudia Testoni passed away eight years before her in 1998.